Product prices and availability are accurate as of 2019-04-12 05:09:37 EDT and are subject to change. Any price and availability information displayed on http://www.amazon.com/ at the time of purchase will apply to the purchase of this product. 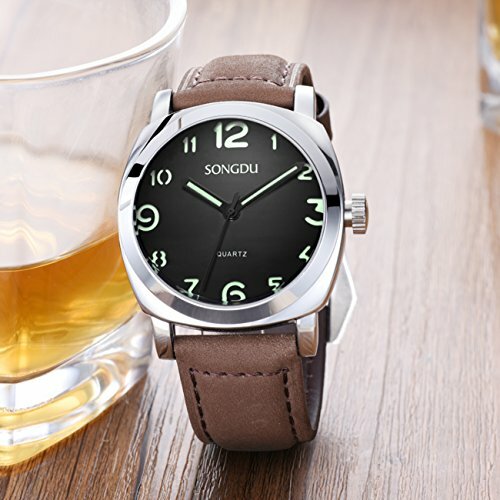 This SONGDU men's quartz wrist watch is a classy piece for any style.We own the advanced international manufacture technology and insist to make the business casual styling and high performance of men's watch. Time and efficiency are our persisting goal perpetually. -The style of brief vogue, suitable for indoor,outdoor and daily use. 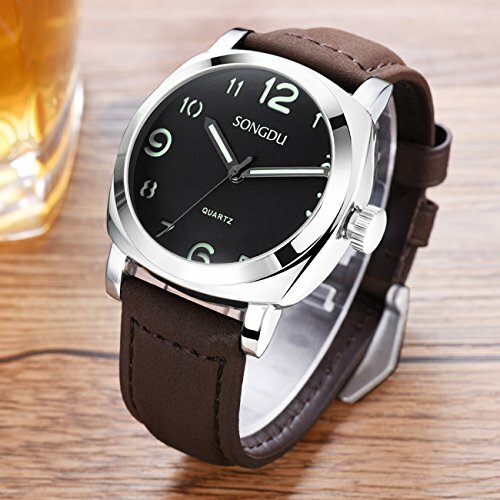 - SUNNON PE902 quartz movement,provide precise and accurate time keeping. 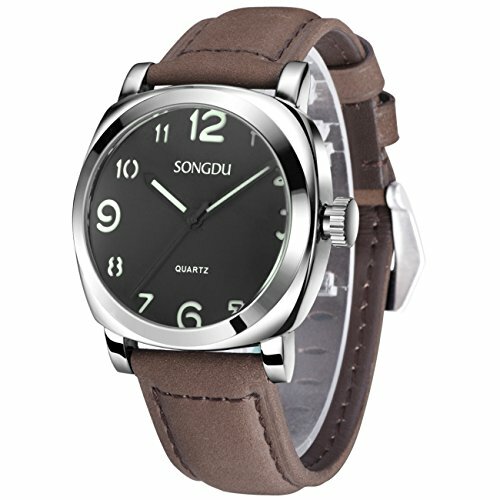 -Brown leather band and waterproof alloy case,the buckle also easy to use and looks great. -It looks modern yet "classic"simple, brazz your eyes. Also make it a great gift for family or friends. -Water resistant up to 98FT 30M,Splash/rain resistant.NOT suitable for diving, swimming, snorkeling, water-related work. STYLISH DESIGN: The style of brief vogue with black copper face, alloy case with protective mineral glass dial window,Suitable for indoor,outdoor and daily use. 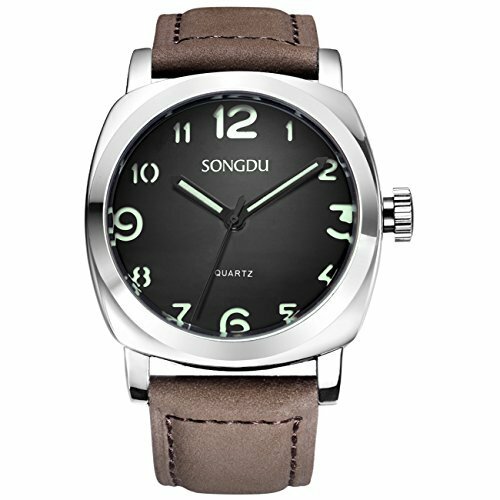 HIGH QUALITY: SUNNON PE902 quartz movement and a scratch resistant window along with cool numbers. It has maintained accurate time. DURABLE & COMFORTABLE: Brown leather band and waterproof alloy case,the buckle also easy to use and looks great. GIFTABLE: It looks modern yet "classic"simple, brazz your eyes. Also make it a great gift for family or friends. WATERPROOF FOR DAILY USE: Water resistant up to 98FT 30M, Splash/rain resistant.NOT suitable for diving, swimming, snorkeling, water-related work.